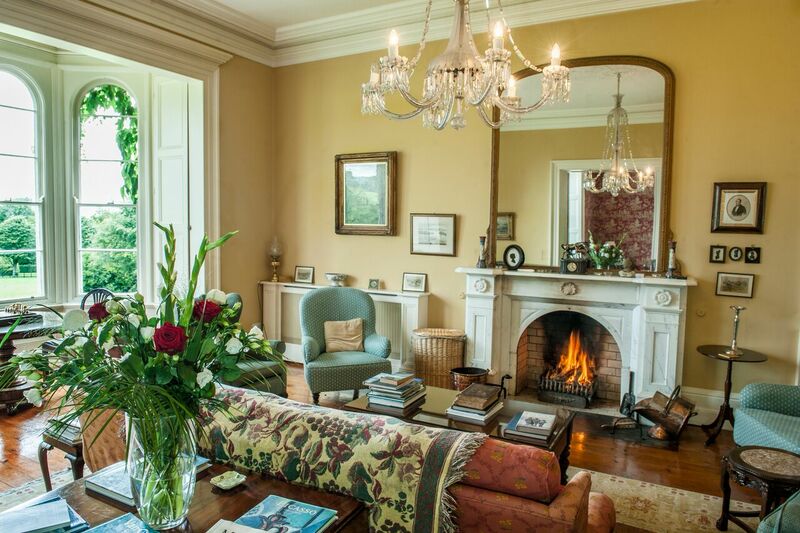 Coolclogher House : exclusive Luxury Holiday Rental Home in the heart of Kerry … privacy, luxury and elegance. 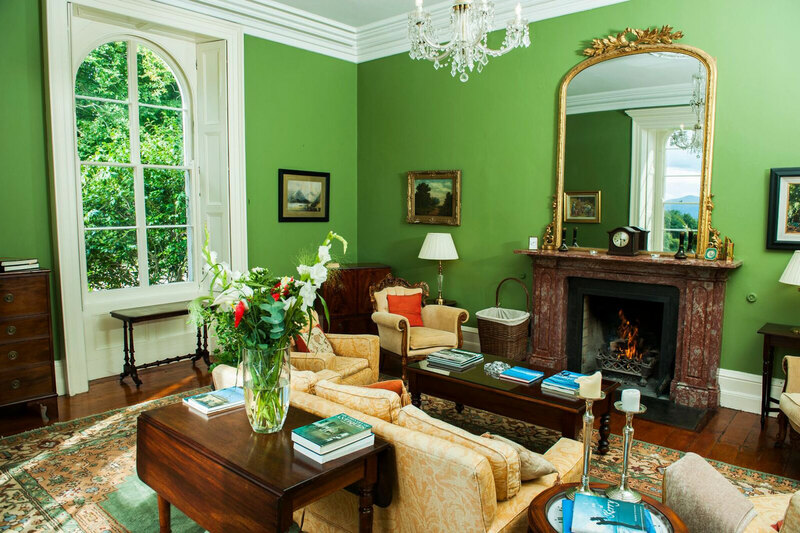 Coolclogher House and Estate is a luxury Holiday Rental Home Ireland on the outskirts of Killarney town and located on the world famous Ring of Kerry route. This is a beautiful area with some of the most breathtaking scenery in Ireland. Coolclogher House is a historic and listed building dating back to 1742 it is surrounded by 68 acres Parkland and gardens in a walled private estate. The large historic listed home offers guests accommodation in a haven of peace and tranquility. Nestling in beautiful surrounds of stunning lakes and the mountains of Killarney, this charming Country Manor and Estate is within walking distance of Ross Castle and the 22,000 acre Killarney National Park – what better way to enjoy a vacation on the Ring of Kerry. Coolclogher also provides guests with a perfect base from which to take day trips on the Ring of Kerry touring route including a visit to Dingle, Kenmare, The Blarney Castle/Stone, Glengarriff, Ring Of Kerry just a few of the many day tours. See our Things to Do page for a guide to local attractions including fishing, hill walking, golf, cycling, horse riding, theatre, festivals and traditional music. Our guests also have a large selection of shops and supermarkets five minutes away. Guests at Coolclogher House a large Manor will also find themselves in the midst of a golfer’s paradise with many world famous golf courses a short distance away. some clubs guests love playing Tralee Golf Club. Waterville Golf Club and Ballybunion Golf Club, Killarney Golf Club see our activities page for more information. Coolclogher House is licensed for small Civil Wedding Ceremonies. 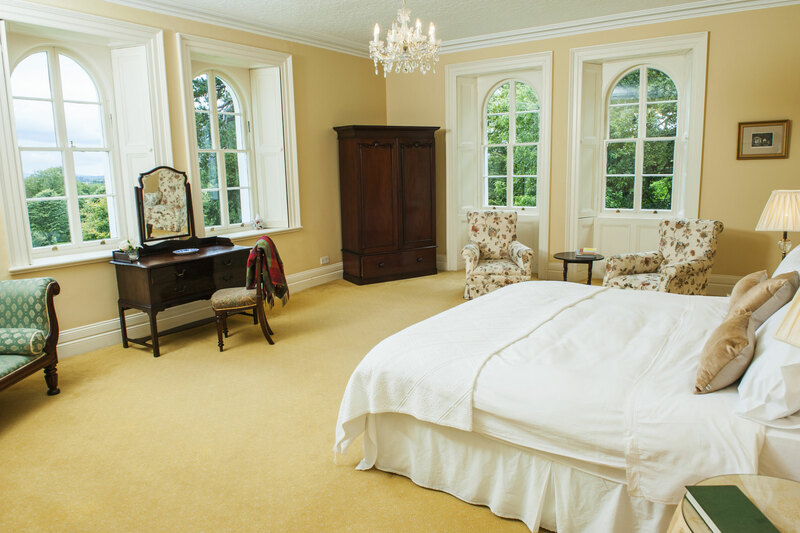 Mary Harnett and her husband Maurice have lovingly restored their beautiful Manor House to the highest standards to provide their guests with luxurious accommodation. 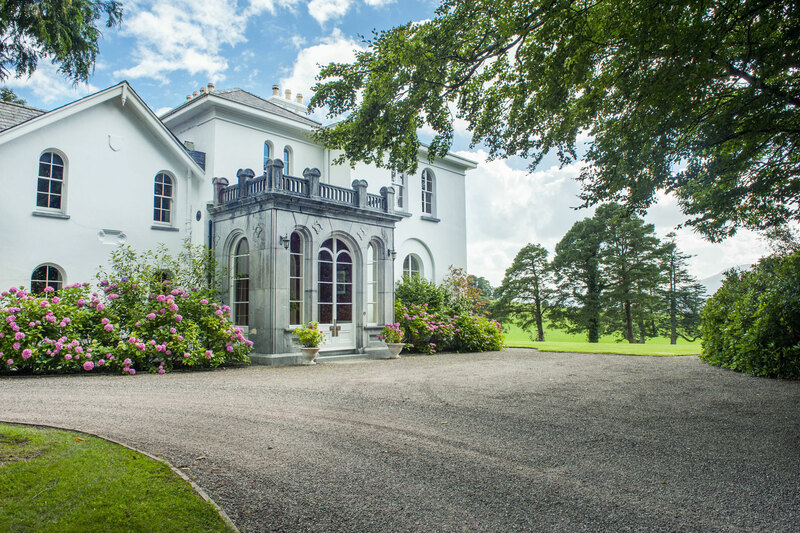 Coolclogher House offers a unique wedding venue where the Kerry Mountains provide a stunning backdrop. The carefully tended gardens that overlook the mountains. Located on the famous Ring of Kerry an area renowned for its breathtaking scenery, numerous outdoor activities and places of historic interest to visit.